Clint Eastwood, the director of the movie, has done it again. 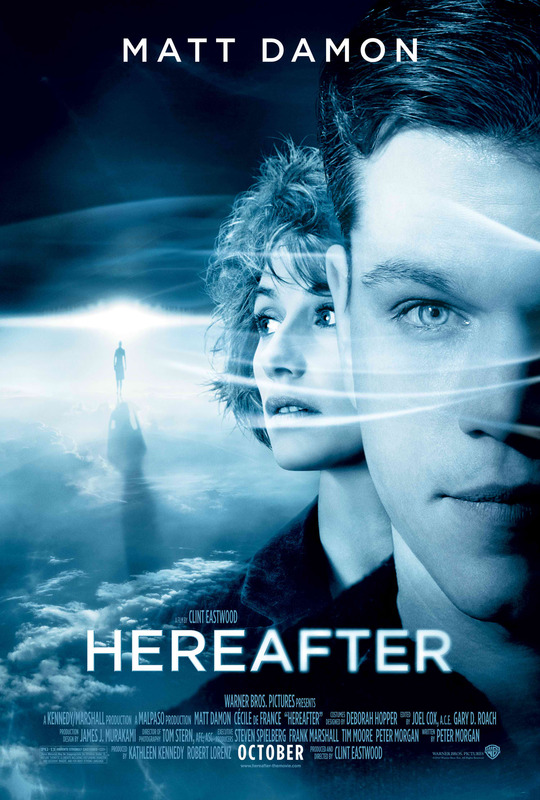 Here After (Warner Bros.) is a beautiful masterpiece and a witty way of merging the trilogies, having a single plot of dealing with afterlife experiences not to mention that relationship each have with the other. I am not one bit surprised with Matt Damon’s role as George. One thing that is refreshing is that he doesn’t have any action scenes unlike his past and more popular movies. This way you tend to appreciate the raw talent focusing on actions and reactions to things and situation. Other cast members also were exceptional. The short role of Bryce Dallas Howard was also mind-blowing especially the scene where George was forced to tell the past of Melanie and despite the warnings, she still insisted that resulted in a one-take tear dropping which was so perfect for that instance. Cecile De France (as Marie Lelay) was great in her own right. Though admittedly I had to focus more on the subtitles that I was not able to “really” notice her performance. One of the things that got me was the scene between George and Marcus (Frankie McLaren) when he was “connecting” with him, describing how his brother is. That was a true tearjerker scene. You could actually feel the pain of Marcus. It’s been months since I encountered such a brilliant film and it’s such a pleasant surprise since, at first, I do not have any impressions of the movie – probably the reason why I deeply enjoy this film.